Oh goodness, it’s so very nearly here – Christmas, again – and so the annual battle for gift finding begins. This year, we’ve got you covered – and you can take those dull as dishwater generic presents straight off of your list (we’re looking at you socks, Xmas jumpers and shower gel). 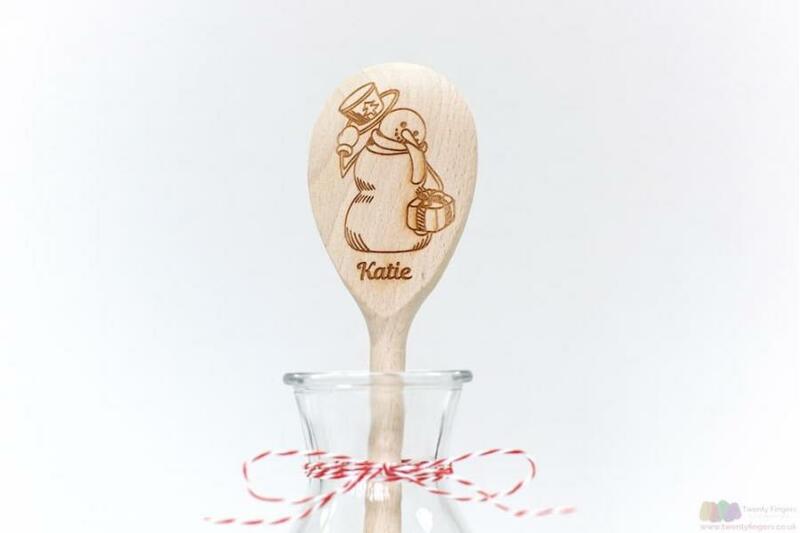 Forget receiving a frosty look over this year’s gift, straight from our brand new wooden spoons collection is Frosty the Snowman – a personalised wooden spoon that you can customise to your heart’s content. Perfect for packing out that Christmas stocking, or giving as a special gift for making the mince pies, here’s how to create your completely customised Snowman spoon. 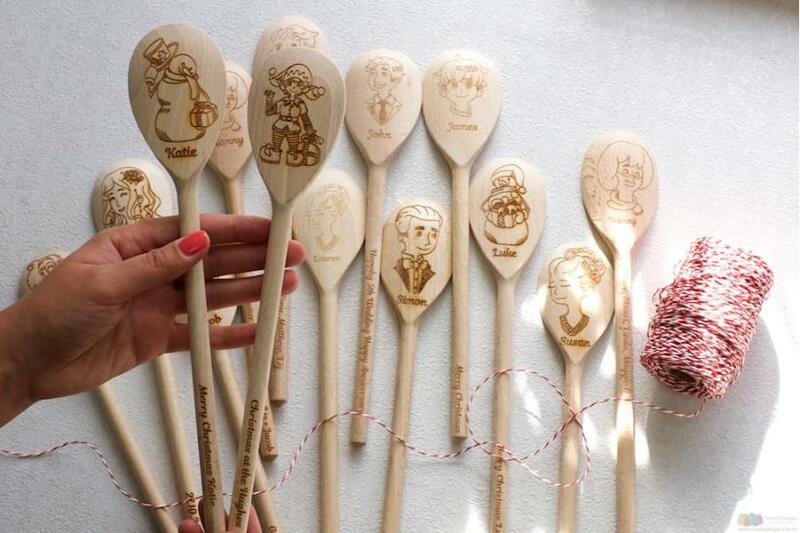 Number one – choose your snowman. We’ve designed two perfectly charming guys – one tipping his hat, the other simply smiling away. With the one of your choice clicked, it’s time to enter the name of your recipient (you can type up to thirteen letters here). 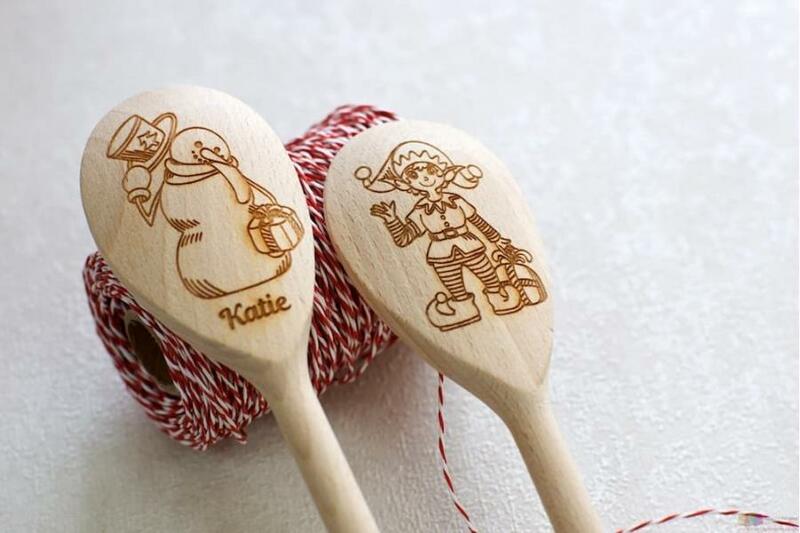 Then, as a third and final step, write out what you’d like to feature on the handle – go with the traditional ‘Happy Christmas’ or choose something truly personal between you and your gift receiver – and that’s it. 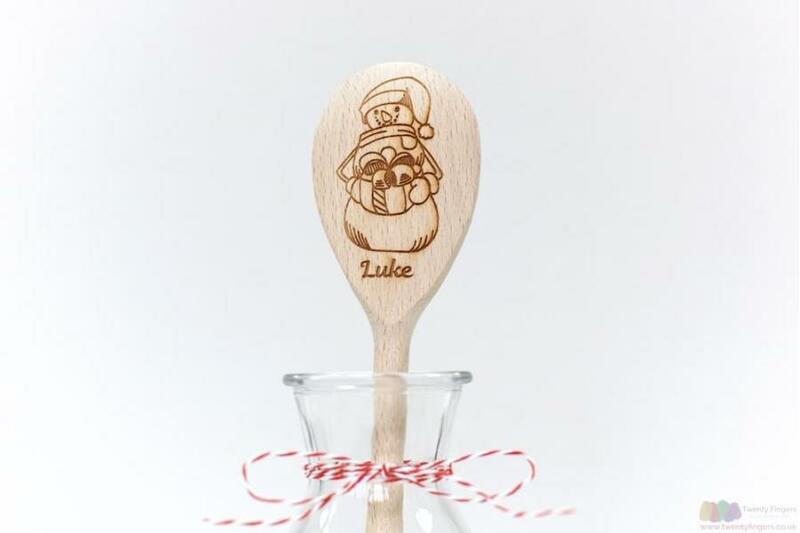 All done (next, you may want to check out our Elf personalised spoon for a perfect Xmas pairing).